Challenge: To grind two mating metal components, with a tight clearance requirement between their surfaces, to create a powered arthroscopic shaver used in orthopaedic joint surgeries. In this application, two tubes are assembled, with as minimum a gap between the two parts as possible ‐sometimes as small as 0.0005” ‐so that the inner tube moves freely inside the outer tube without allowing debris to get caught between the surfaces. The tips of the tubes typically have a rounded guiding surface, and the outer tube has a window cut in it to expose the sharp edges of the inner tube, both difficult to manufacture in volume. For the outer sleeve, a GT‐610 thrufeed grinder is used to grind the OD of the blank tubes, maintaining a surface finish between 3‐6 RMS and maintaining a comfortable 2‐3 Cpk on the outside diameter of the part. 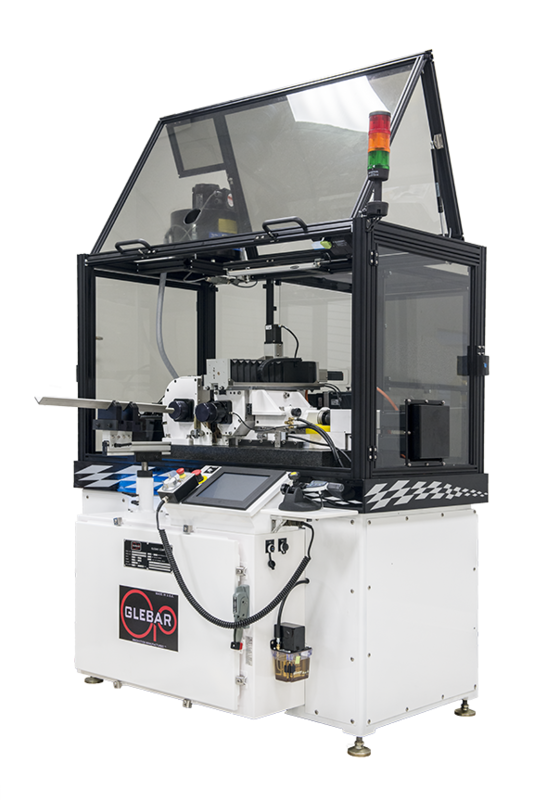 Material removal of 0.005” with a tolerance requirement of +/‐ 0.0005” was met easily in a fully automated turnkey process. To infeed grind the shape of the inner tube, using the Glebar GT‐610‐CNC, Glebar was able to maintain a +/‐ 0.0002” tolerance on the tip dimensions. View full GT-610-CNC Case Study and Video.